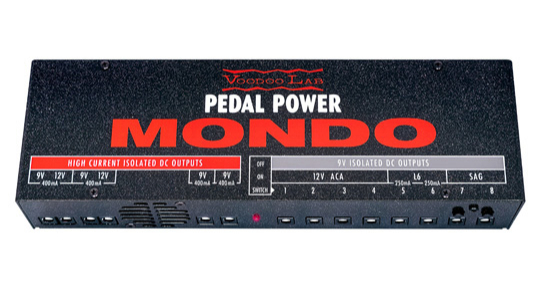 Pedal Power MONDO is a high-current capable power supply that can power the largest and most diverse pedalboards. 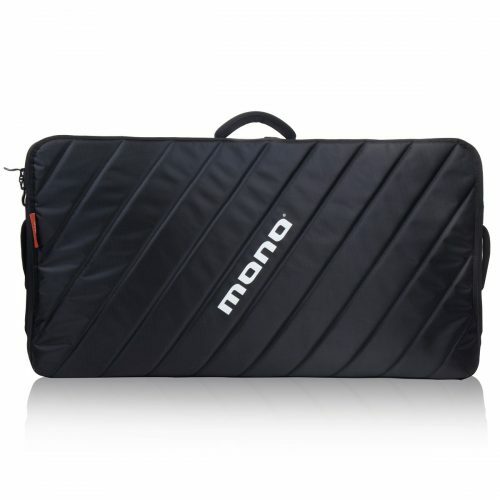 From digital power-hungry effects like those from Strymon, Eventide, Line 6, TC Electronic and more, plus compatibility with all standard 9-volt battery stompboxes, MONDO is perfect for large to gigantic pedalboards. 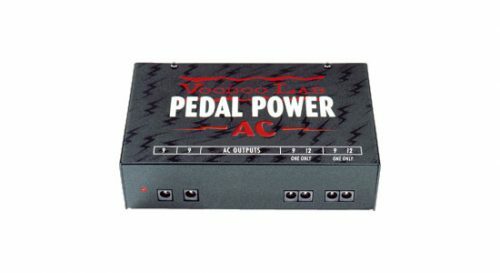 Features 12 completely isolated, filtered, and regulated output sections that will keep your pedals dead quiet and free from high-frequency noise that occurs with digital “switching” power supplies.